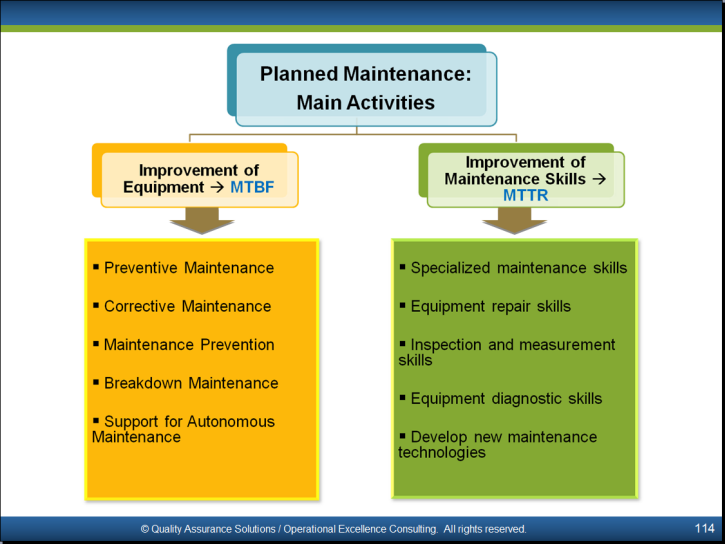 Do you need to teach the Total Productive Maintenance methodology to your company? 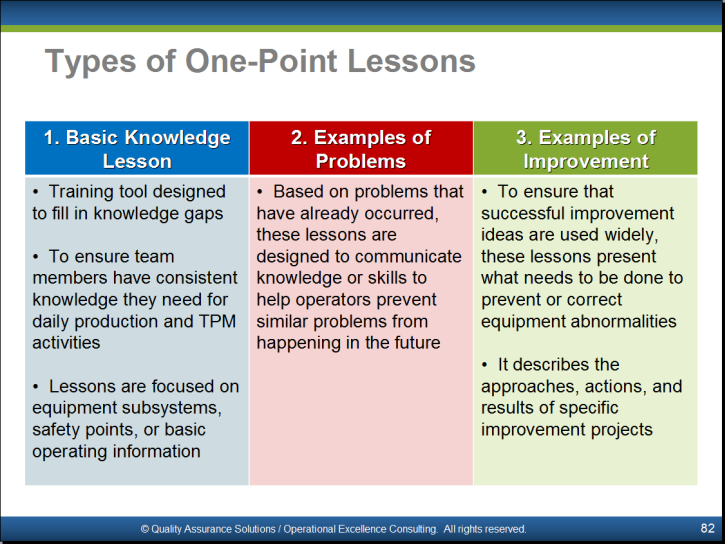 Do you need to save time from creating the TPM presentation? Do you want to present a professional PowerPoint that will impress your employees, peers and the management team? 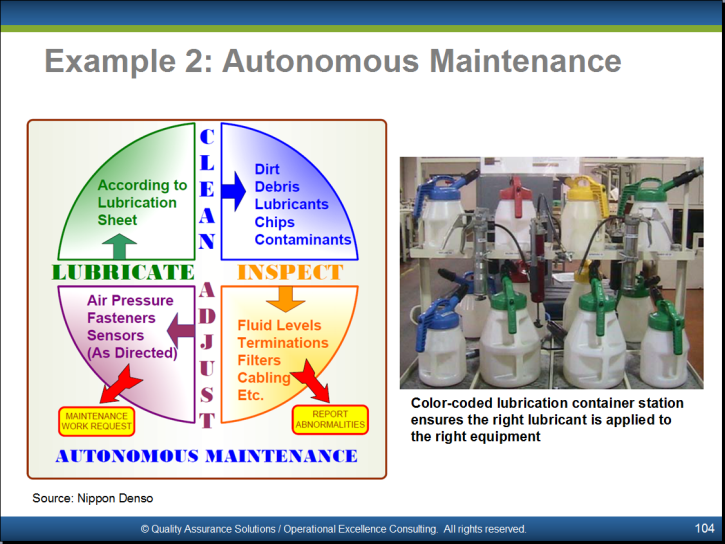 Do you need to assure equipment continuously runs and reduce breakdowns? 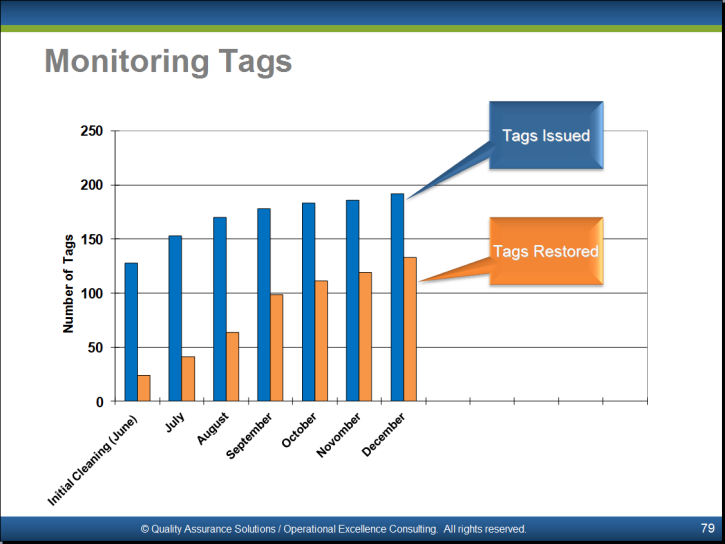 Do you want to involve operators, supervisors and your maintenance team in TPM synergy? 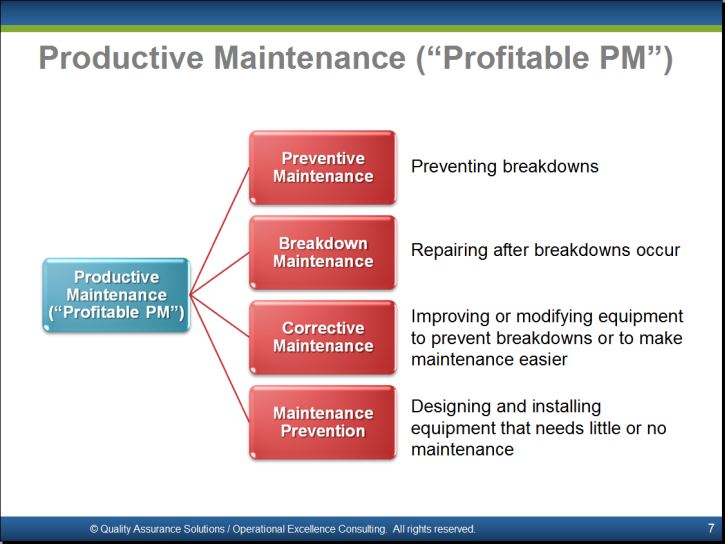 This professional presentation on Total Productive Maintenance combines the TPM tools, 5S, OEE (overall equipment effectiveness), 8 pillars, Autonomous and Planned maintenance into a highly detailed training tool. 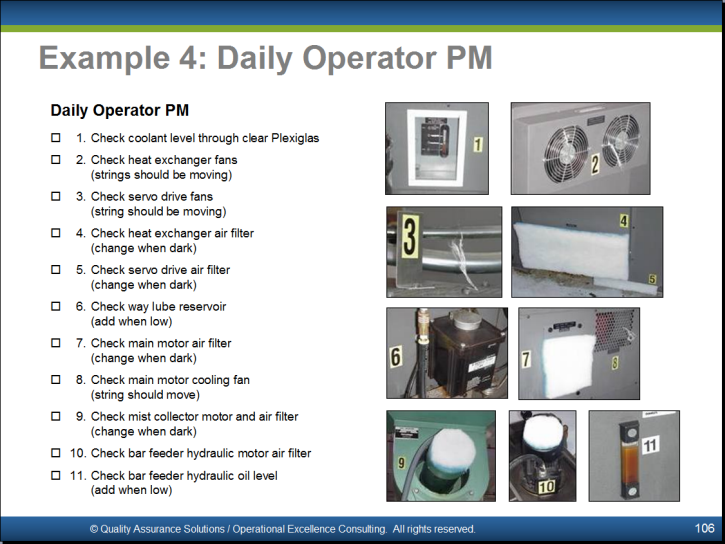 This PowerPoint includes a step by step implementation process of TPM. If you created this presentation yourself you could easily spend 40 to 60 hours just making the slides. See below for pictures of some of the slides. 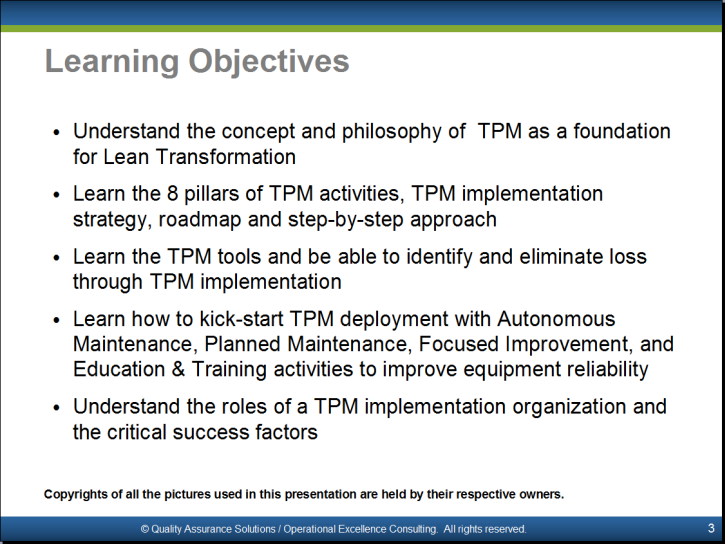 Use this PowerPoint and assure you don't forget the important TPM strategies during your TPM training. 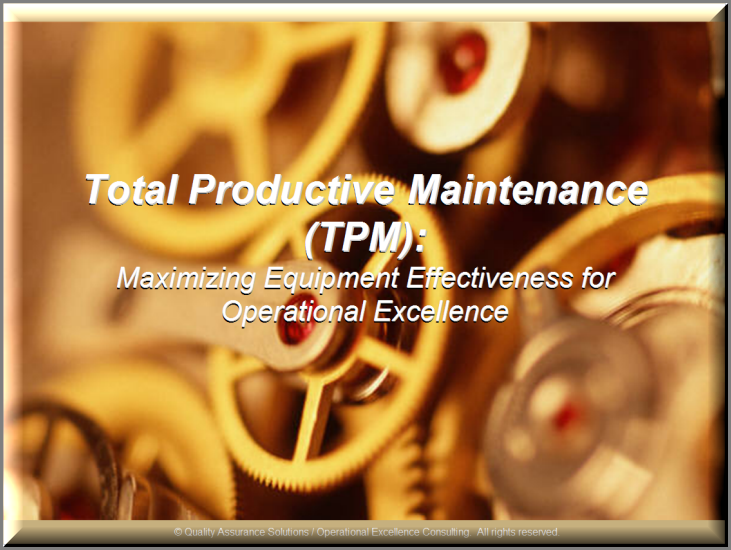 As a company-wide initiative, Total Productive Maintenance (TPM) maximizes the effectiveness of equipment. 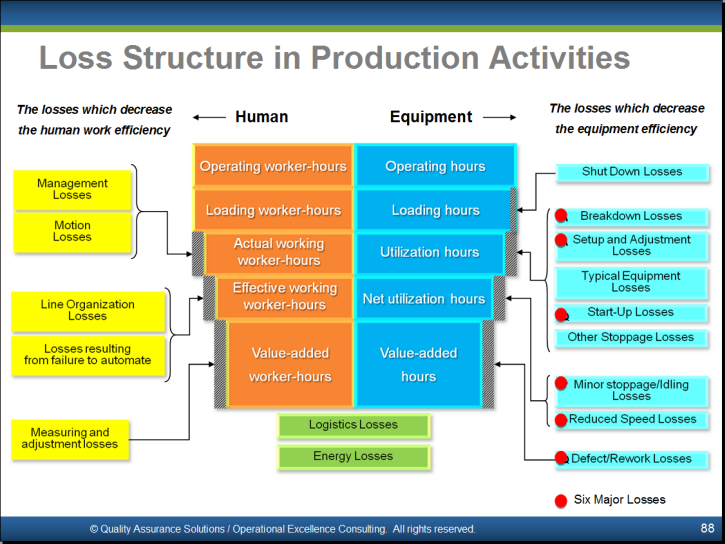 The TPM program significantly decreases labor and capital productivity while, at the same time, increases employee morale and job satisfaction. 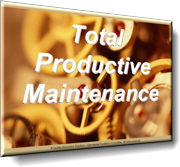 TPM brings maintenance into focus as a necessary and vitally important part of the business. 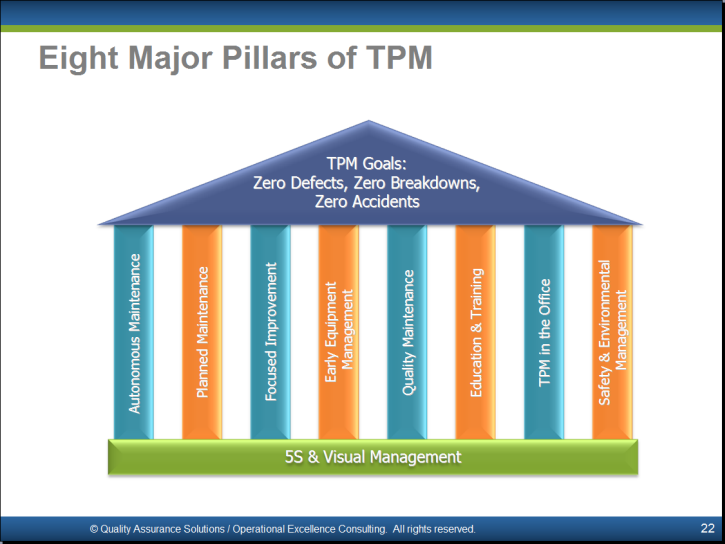 Targeted at all levels of the organization, TPM and its 8 Pillars provide the necessary supporting process and tools to achieve zero defects, zero breakdowns and zero accidents. You may customize this Microsoft PowerPoint presentation to your specific needs and preferences. Add slides, combine them with our other presentations, it's up to you. The only restriction is that the presentation cannot be resold without our prior written consent. 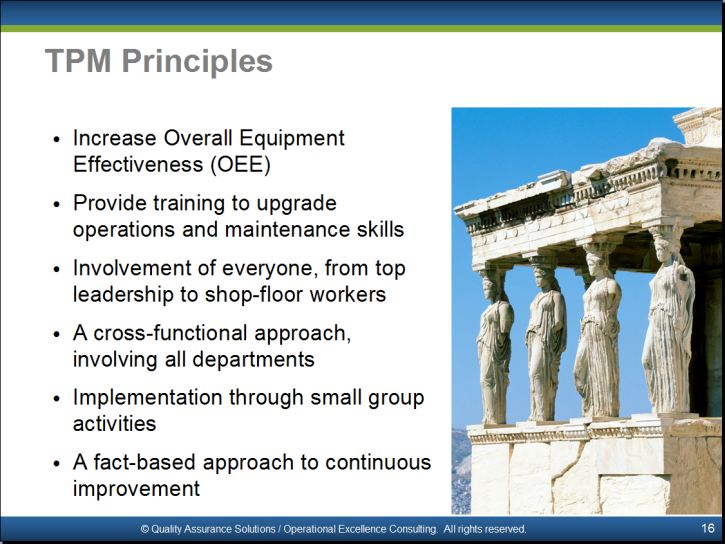 What Do 5S & TPM Have in Common?